I had two weeks to develop an exhibition for "Personal Statements", a time when second year graduate students in the Stanford program formally introduce themselves to the broader community of students and alumni. I chose to introduce myself by making liquid nitrogen ice cream. For the uninitiated, that's ice cream rapidly frozen using nitrogen that's so cold it's condensed into its liquid state. This is something I have a fair bit of experience with. You may be wondering to yourself "why ice cream?" Ice cream has been near and dear to my heart since the very beginning (see photo below). I enjoy Liquid Nitrogen ice cream in particular not only because it's fun to make, but also because the rapid freezing makes small ice crystals that make the ice cream especially creamy. Ice cream has always made me a happy camper. These days I'm notably more skilled at getting ice cream into my mouth and not onto my face. Preparation took a couple of months of logistical work - finding out who Stanford's supplier of Liquid Nitrogen (LN2) was, creating a logo, and testing over a dozen recipes - including banana, gingerbread tea and even oddballs like surprisingly-tasty whiskey mint. The project came together in the last couple of weeks when I had a chance to build out the space and complete the finishing details. Surprisingly, it took a couple of weeks to contact the LN2 supplier, assure them that, yes, I existed and, yes, I really did need LN2, and finally convince them to take my money. After that, I had the arduous task of testing out various recipes and flavors to find just the right combination. I settled on three – enough to have variety, limited enough to not be overwhelming. In the end, Bubble Gum (a childhood favorite), Orange Ginger (very delicious) and Maple Bacon (a surprise crowd favorite). For the bacon ice cream recipe, I used one that came highly recommended from a friend. I recommend substituting maple syrup for some of the brown sugar. For the other two, I used a recipe from my undergraduate days. The base is straightforward to make, and absolutely delicious. For orange ginger, I flavored with 1 tbsp finely chopped ginger and 1tsp finely chopped orange zest. If you really like ginger, add it to your heart's content. For bubble gum, I added chopped bubble gum pieces and bubble gum extract to taste. Yes, you can buy something called bubble gum extract. Isn't that crazy? I'm not sure exactly what it's extracted from, but that's what it's called. Cook mixture over medium heat until it coats the back of a spoon. The whole pot will suddenly steam up and thicken rapidly. Let the mixture cool. Do NOT skip this. Mix well and store in something clean or put directly into an ice cream maker. To freeze without an ice cream maker, store it in the freezer and take it out to stir every 20 minutes or so until it starts to resemble ice cream. I started building out the space by hanging some magnetic boards to place menus on. It was important to me that I not just serve the ice cream, but create the entire experience of ordering it, as in a real shop. I created this sign to help inform people where to order ice cream from. I thought a fair bit about where I wanted people to queue, and where I wanted them to stand and watch the ice cream being made. 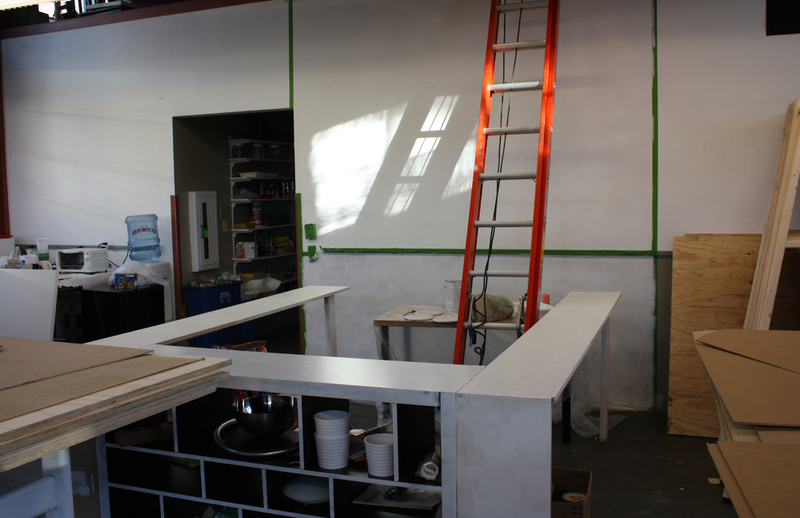 I roughed out the space using a combination of 2x4s, chipboard and IKEA furniture, then primed the space to be painted. I felt it was important to paint the walls something other than institutional white and beige in order to make it an authentic shop experience. I used the PRL, Stanford's shop, to create the vinyl letters and symbols needed for finishing touches on the space. The vinyl cutter prints almost like a normal printer, except instead of using ink to make your image, it cuts shapes with a razor blade. Following a few logo design iterations, I posted the remaining contenders to Facebook for a final vote. 1(a) was the favorite among my Facebook friends, and was declared the winner. 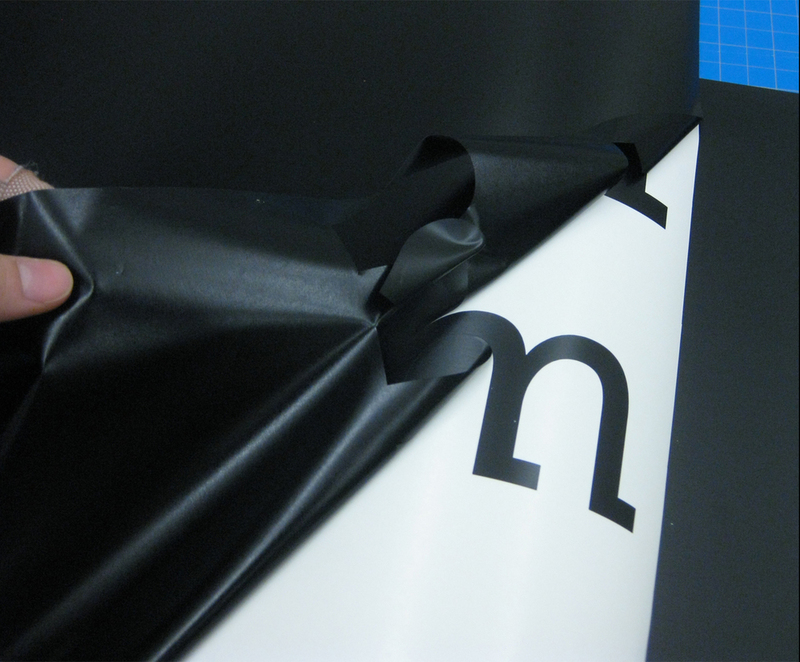 Here you can see how the adhesive-backed sheet of vinyl must be carefully pulled back to reveal the cut-out letters. Back at the Loft, I carefully transferred the letters and shapes to the sign. And painted the final details by hand. 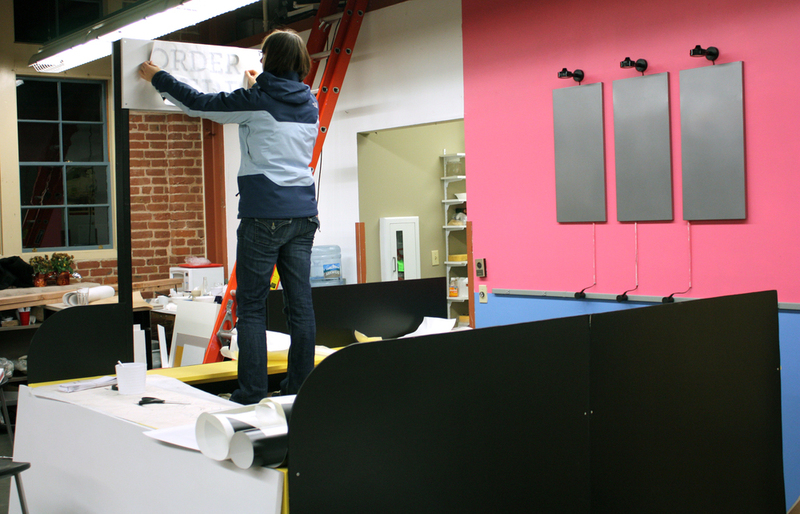 Here you can see me applying vinyl lettering to the sign in the almost-completed space. The day before the big event, Praxair delivered my highly-anticipated dewar of liquid nitrogen. 160 liters ended up being more than sufficient for my event. For the big day, I made more than 15 batches of ice cream and stored them in empty cream, milk and half and half containers. I'm afraid to think too hard about all of the calories that went through my kitchen in the course of those three days. 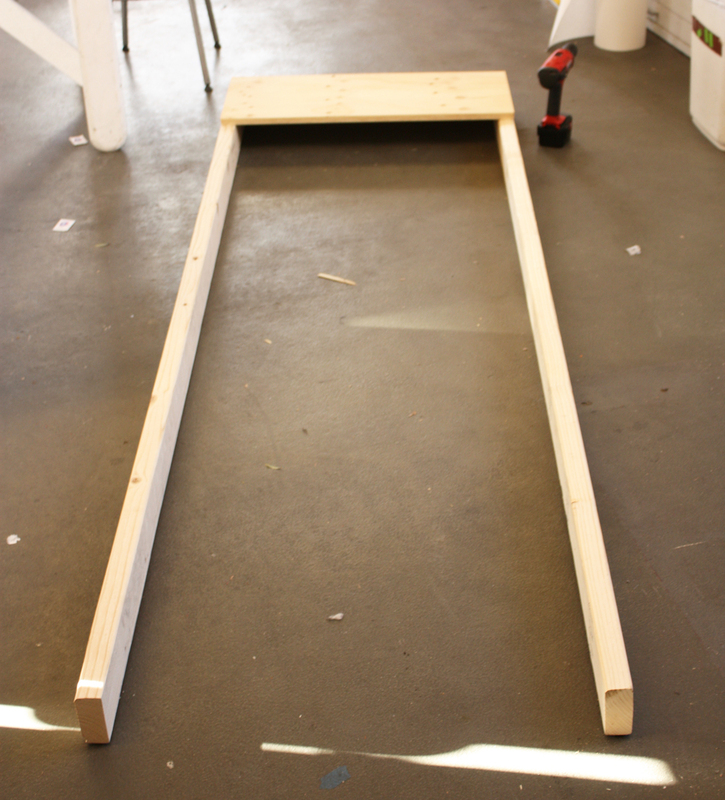 This is the stand on the night of Personal Statements, ready to go. 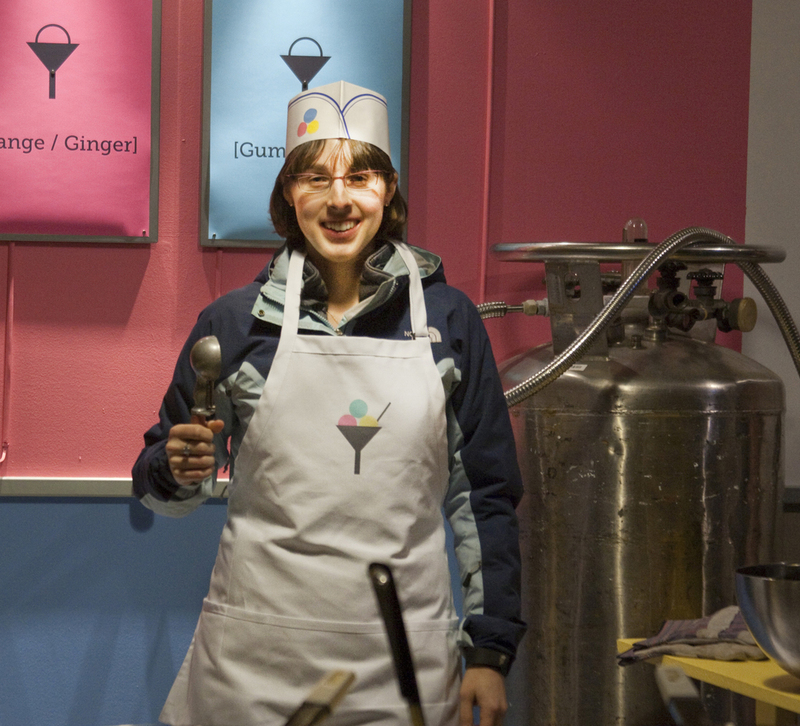 Check out the Liquid Nitrogen Dewar in the back corner and the color-coded ice cream bowls. Up front is where the ice cream making happened. The batches were then transferred to the smaller bowls on the side for serving. Menus, color coded to match the actual ice cream. My friends Dane and Kate drove all the way down from Berkeley to work for free at Frozen Martini Ice Cream. Notice our fashionable aprons, which I ordered aprons from Zazzle. They do small runs of custom designs, and are incredibly fast. They even upgraded my shipping to overnight (free!) when I was worried the aprons wouldn't arrive in time. I announced the project in front of hundreds of folks from the design alumni community. Here I am ready to serve. The liquid nitrogen is fairly violent when it comes out of the dewar. As you start, and the hose is cooling down from room temperature to -210C, it makes terrifying screeches and sputters, as the liquid turns to gas before it comes out the end of the hose. Making the ice crea is best done in pairs. Here my friend Kyle Buza spoons the nitrogen into the bowl of batter as I stir. Once the ice cream froze (often it was very, very solid because it was so cold) I served it to waiting attendees, often eager to find out what the bizzarre flavor would taste like. The ice cream was served in a martini glass, of course. In this case, the pleased customer was my mom, who flew out to Stanford for the occasion. There's no way I could have pulled off an event like this without support from the world's most over-educated bunch of ice cream technicians. It turns out, when you have MIT graduates who are now in graduate school at Stanford working for you, things run incredibly smoothly. If I ever start a real ice cream shop, I know where to look for talent. Here you can see the three flavors of ice cream side-by-side as Dane serves up a glass of Maple Bacon. This flavor was the definite winner of the evening. I am pleased as punch that the event went over so well. Thanks to everyone who helped to make it a success!